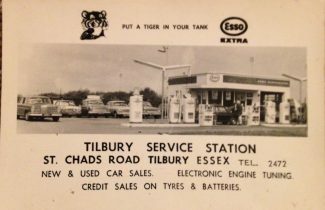 A business card of the Tilbury Service Station in St Chads Road approx late 1960’s, with tiger in your tank advertisement. 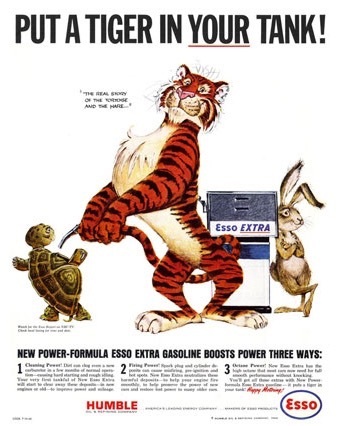 Do you remember the ad put a tiger in your tank and getting a tiger tail to tie to your car. Bill Birds son Eddie, is on facebook. It was my aunt, Kate Cooper, who worked in the chip shop and lived opposite at (I think) 172 St Chads Road. My mother-in-law Edith Cooper lived in Arkright Road, as did I for a few months when I first married. My brother-in-law John Cooper still lives in the same house. You are probobly right about Bill’s son Eddie having the garage. Bill must have helped him out because he would sometimes serve at the pumps. Remember the days when the attendant would put the petrol in for you. The reason I suspect that I dealt with Bill Bird was that messages would be passed to me through my mother in law who worked in the fish and chip shop. think it was Bill’s son Eddie who had the garage Cliff. Well, that’s brought a flashback to the past. 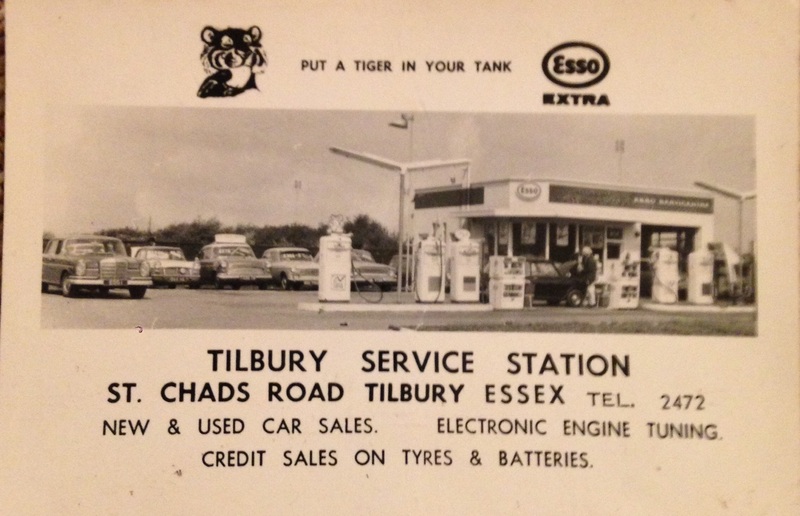 I remember printing these cards for Tilbury Service Station. I also bought a Ford Cortina from the car sales here. I had my printing business in Tilbury for around 12 years, first at 70 Christchurch Road and then at 185 Dock Road. I used to deal with Bill Bird who used to work in the service station. He also owned Bird’s fish and chip shop next door. My ex mother in law (Edith Cooper) worked in the fish and chip shop.